Yes, today we are setting up an invitation to play with mud for the finally day of our messy play challenge! I can see some of you running away already but I really encourage you to give this one a go! 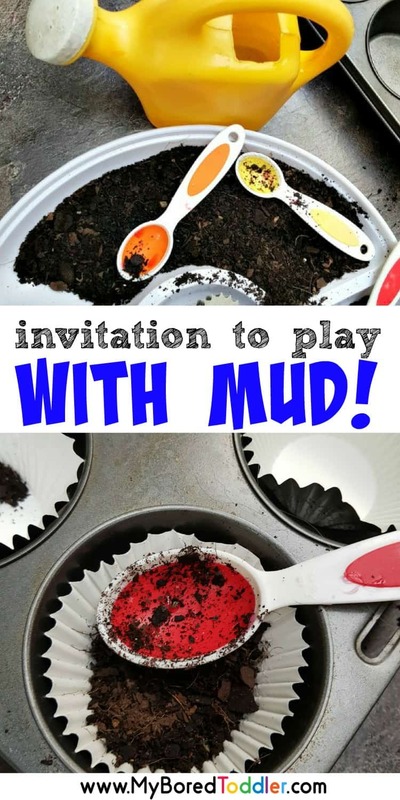 This invitation to play with mud is day 5 of our 5 day Messy Play Challenge. If you would like to take part you can sign up HERE. For those of you who have completed every day so far, well done! I’m hoping you are starting to see that setting up messy play activities is much easier than you might think. Today we are going back to the old fashioned way of playing – mud pies and playing with dirt! 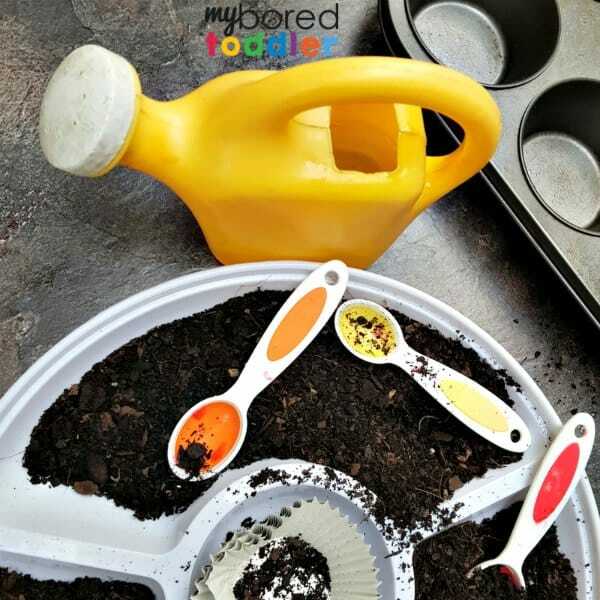 While you can see from my photos that I have set this up by putting the dirt into a container, feel free to just let them play with the dirt straight out of the garden – that’s even more fun! You can use any container if you are setting it up like mine – the only reason I didn’t use a normal rectangular container is that my kids are still playing with the jelly from yesterday which is still in ours. Pots and pans or any items they can play in the dirt with. This one is pretty easy to setup! 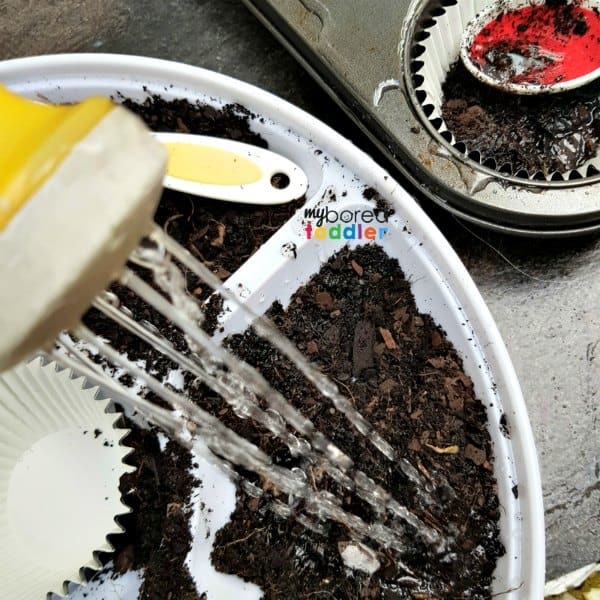 Put some dirt in a container, put out a watering can or container of water and some cups, spoons and scoops and let them play! 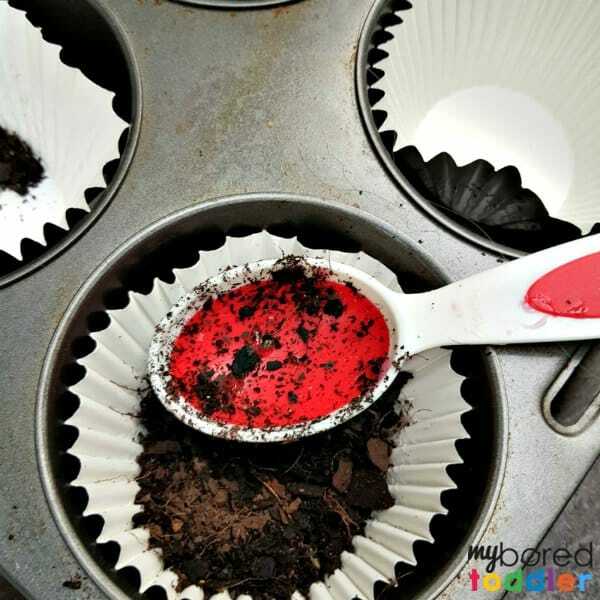 We added muffin tins and cupcake liners to make it more fun. Pots and pans work well too. Let them get messy! Make sure you share your photos in our Facebook Group and over on Instagram. 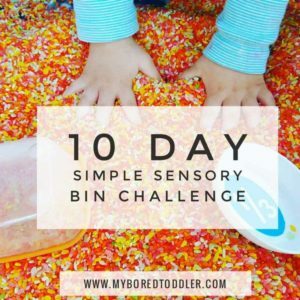 Use #MyBoredToddler and tag @myboredtoddler so we can all see! 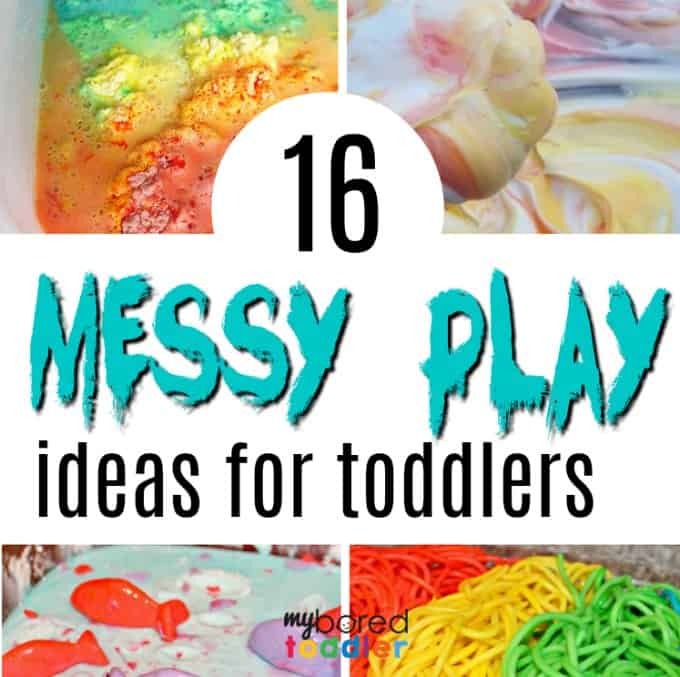 Now that you’re a pro at messy play make sure you check out some more of our messy play activities that are perfect for babies, toddlers and preschoolers!